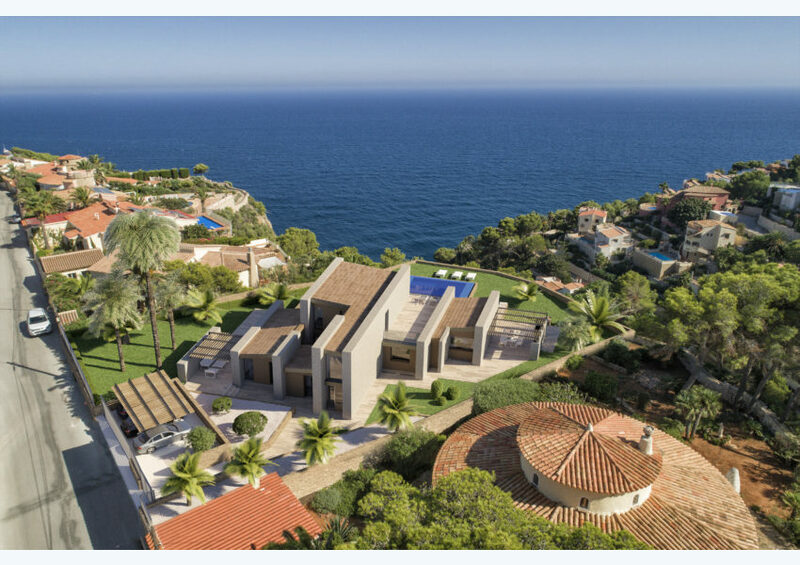 Modern villa with stunning views to the sea in construction. 4 bedrooms, 6 bathrooms, toilet, a multifunctional space in the basement and large terrace with pool to enjoy. It is an exclusive property by its design, location and views.